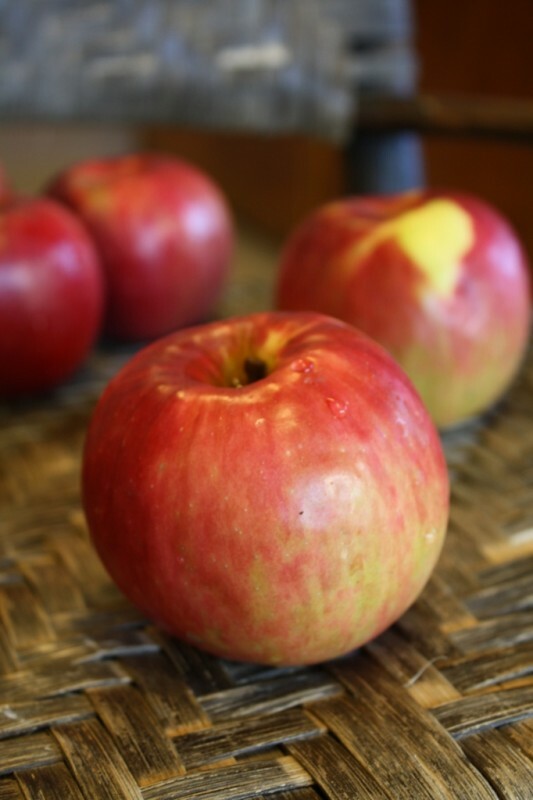 Jonathan Apples - Tuttle Orchards Inc: Indianapolis Apple Orchard, Pumpkin Patch and Farm Store. 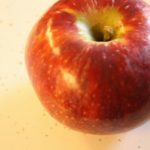 Jonathan apples are very popular favorite at Tuttles both with the thousands of school kids who visit, as well as, being the apple used in all our famous caramel apples. Jonathan has come a long way since its discovery in Ulster Count, New York, in the early 1800s. 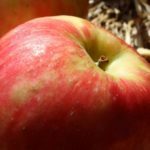 Within a hundred years it was the sixth best-selling apple in the United States, and it became Michigan’s most popular variety. Jonathan’s influence has been spread by a number of well-known crosses, most of them identifiable as family members because the names share the first four letters. It has a spicy tang that some people also note in the apple’s descendants. Beneath the thin, tough skin, the flesh is crisp, fine-textured, and juicy. This variety rates high for both eating fresh and cooking down into sauce, but it will not keep its shape when baked. Toss Jonathans into the hopper of a cider mill, and you’ll retain something of their spicy character.